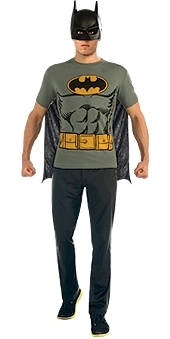 *One printed Batman tshirt with detachable cape. Holy Smoke Batman! A Batman costume with less commitment, but a lot of class.